Petty Officer Marcus Luttrell joined the United States Navy in March 1999, became a combat-trained Navy SEAL in January 2002, and has served in Afghanistan and Iraq. He lives in Texas. Patrick Robinson is known for his best-selling US Navy-based novels and his autobiography of Admiral Sir Sandy Woodward, One Hundred Days, was an international bestseller. 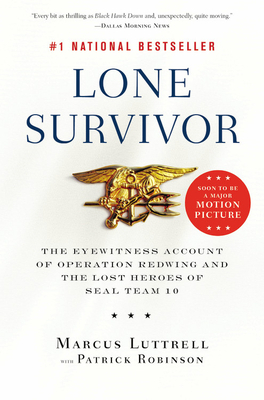 He lives in England and spends his summers in Cape Cod, Massachusetts, where he and Luttrell wrote Lone Survivor.